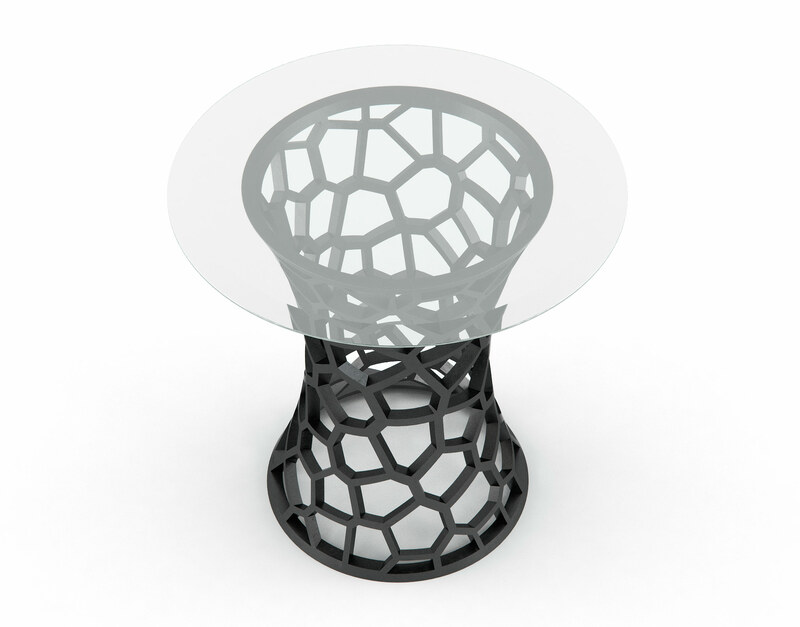 The Parilis Chairside table is a marvel of mystery designed with inspiration from Voronoi diagrams and made possible with parametric 3D modeling software. 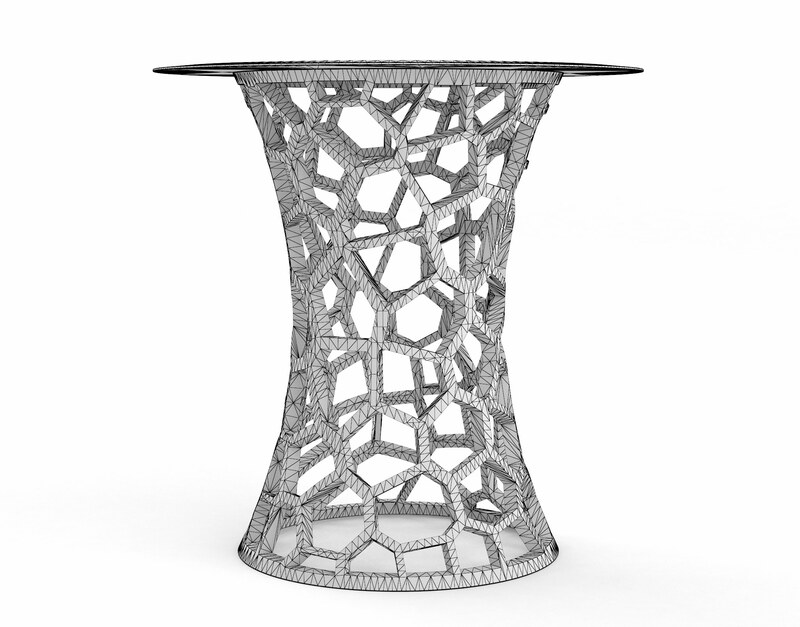 This table will inspire, cultivate curiosity, and render your scenes in such mystique that none shall dare ignore. 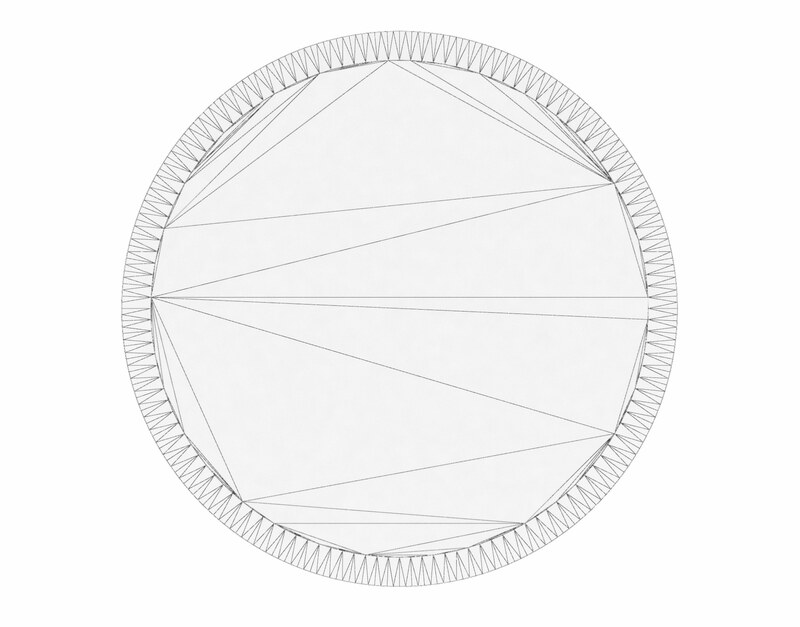 The Parilis Chairside table is a geometric iteration meant to inspire and cultivate a sense of mystery within any environment it is featured. 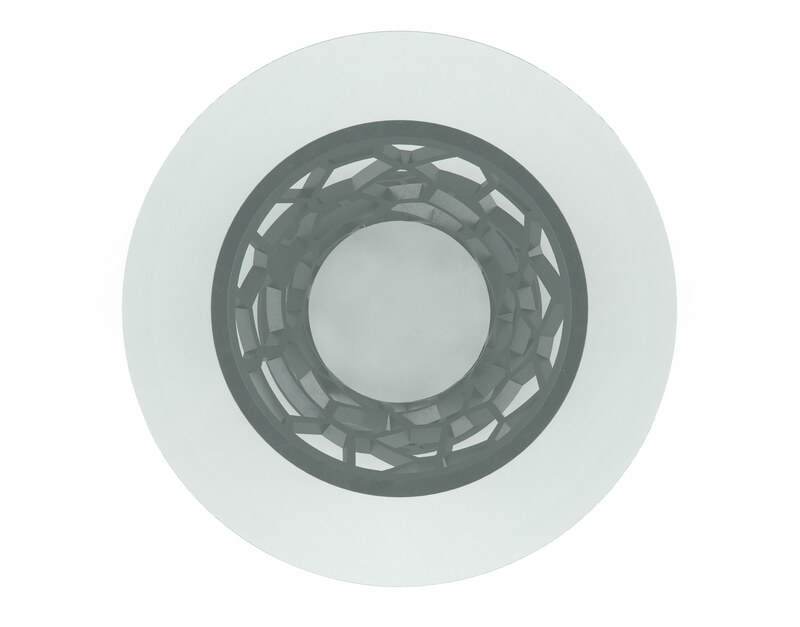 This piece is suited for use alongside stand-alone seating such as armchairs, recliners, or even accent chairs. 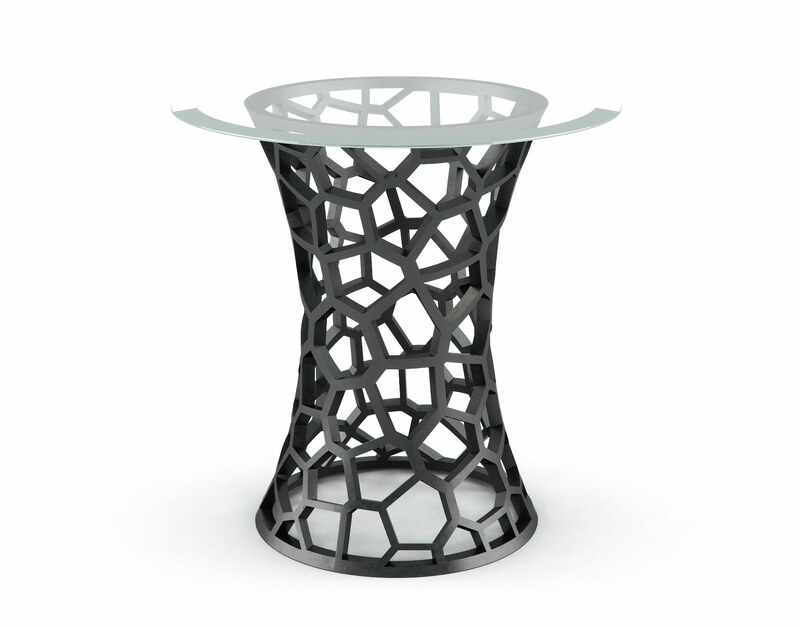 This chairside table 3D model is finished in a dark stell with minor scratching and is topped with a beveled circular glass surface. 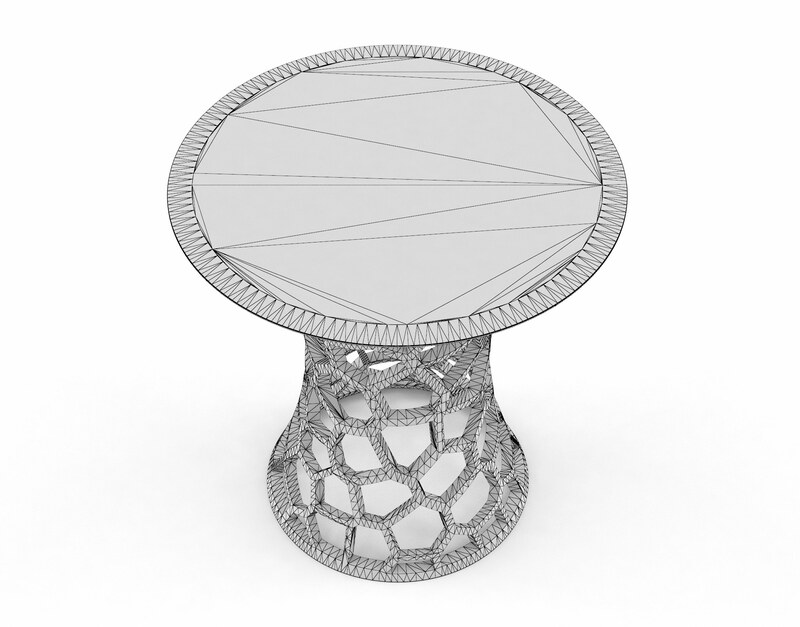 This 3D model was conceived of and originally-modeled using Grasshopper3D within the Rhino3D modeling program. 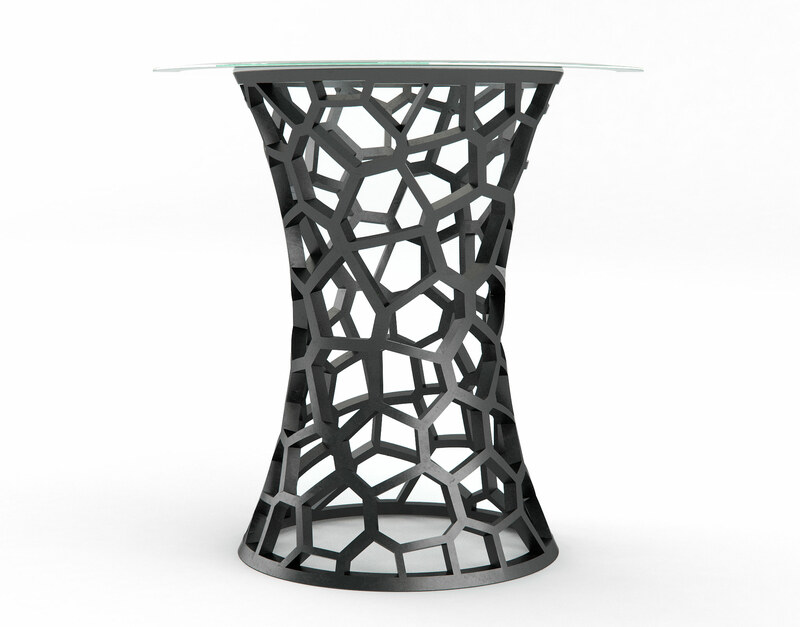 This table series was created by mapping a 2D Voronoi diagram to a 3D array of points located on a curved conical surface (the general outline you see here). This exuberant display of underlying pattern is the essence of the Parailis table collection and guaranteed to give your scenes an extra edge.